Whether you bring a pole and head out to Trillium Lake or commission a guided trip on the Deschutes or Columbia Rivers, you will find that the line and hook are always busy in the Northwest. The Mt. Hood National Forest provides an endless number of fishing opportunities for the experienced and beginning angler. Beautiful rivers and streams, high elevation lakes, reservoirs and even small ponds offer just about every setting one could hope for to relax and fish, or just enjoy the magnificent scenery. Nearby lakes and rivers host Trout, salmon, steelhead, sturgeon, and bass and are popular for Fly Fishing as well as spinners and bait fishing. Book a fishing tour by calling 503-715-2175 or email info@mthoodoutfitters.com today. Click to Take Advantage Now! 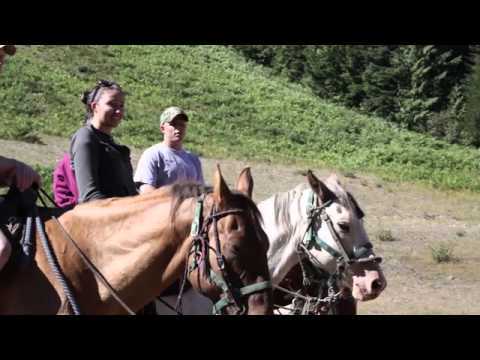 Find your adventure with horseback riding through the Cascade mountains near Mt. Hood Skibowl. Mt Hood Outfitters has MOVED! It's Summer Time! Visit Mt Hood Outfitters for information on all the best summer activities on Mt. Hood.